We are a team of people who have been touched by medical bill avalanches and know the frustration it can cause. Being sick is a pain. Medicals bills shouldn’t be. That’s why we are on a mission to rescue patients from medical bill mayhem by helping them manage their medical bills & payments all in one place. Rex is our trusted medical bill rescue dog. He is always ready to pull patients out from an avalanche of medical bills and into safety and ease. 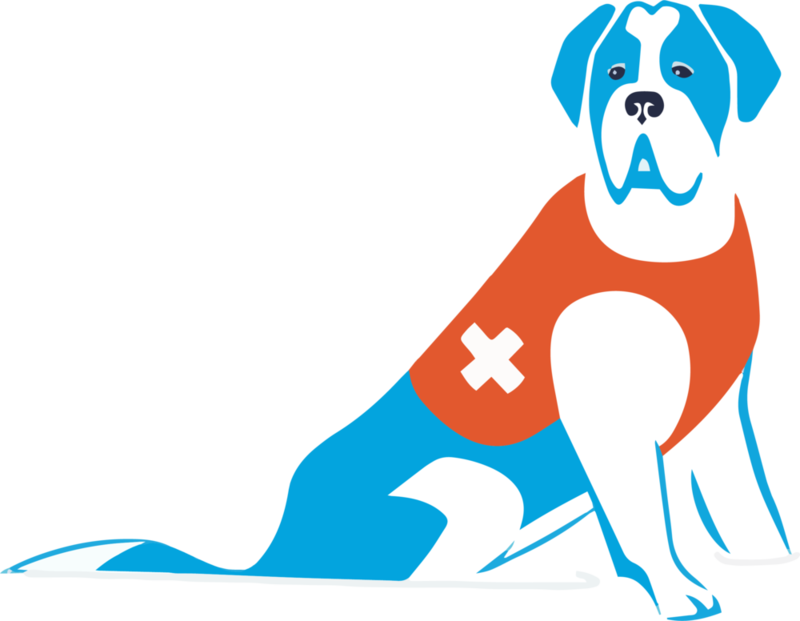 Patients can call Rex to the rescue by using the RexPay chat bot or downloading the RexPay app (coming soon to iOS & Android). At RexPay, we believe in the “win – win.” When we rescue patients from medical bill mayhem, we remove proven barriers while ensuring that healthcare providers’ receive timely and complete patient payments. Yes, that’s right, Rex rescues doctors too! If you need rescuing or want share your passion for ending medical bill mayhem, contact us today! Rachel has a decade of marketing and brand management experience in Fortune 100 companies including Unilever and Avon in New York and BBDO and WPP in Shanghai. After experiencing medical bill mayhem personally, Rachel decided to apply her consumer product management background to create a better medical payments solution for patients. Harlow has 25 years of experience in software design, architecture, development, deployment and operations within the finance and computer software industries. As CTO, Harlow is responsible for RexPay’s technology strategy and implementation. Each member of our team deserves a voice at the table. Equality and respect are high values at RexPay, and we encourage open communication at every level within our team. RexPay is a primarily remote, flex hours workplace. We enjoy collaborating in-person at our Phoenix office, but provide the flexibility to work remotely as needed. This allows our team members to prioritize family and care for their physical and mental health. At RexPay, you’re allowed to bring your whole self to work. We encourage authenticity and integration of life and work. This doesn’t mean you can’t set boundaries as needed; rather, you don’t need to leave your life at home. We encourage everyone on the team to assess how their personality and communication styles impact others. That also means leaning into strengths so all team members can work on problems that they like to solve. We serve patients and customers, but most importantly, we serve each other. Our leadership is committed to serving the team and is willing to be held accountable to it. Sometimes the best innovations are developed in the midst of play. Our team loves to hike, bike, and enjoy the beautiful Sonoran Desert together. We also enjoy celebrating wins or brainstorming new solutions over good food and drinks. Does RexPay sound like a good fit for you? Visit our careers page to see if we’re looking for someone with your expertise!